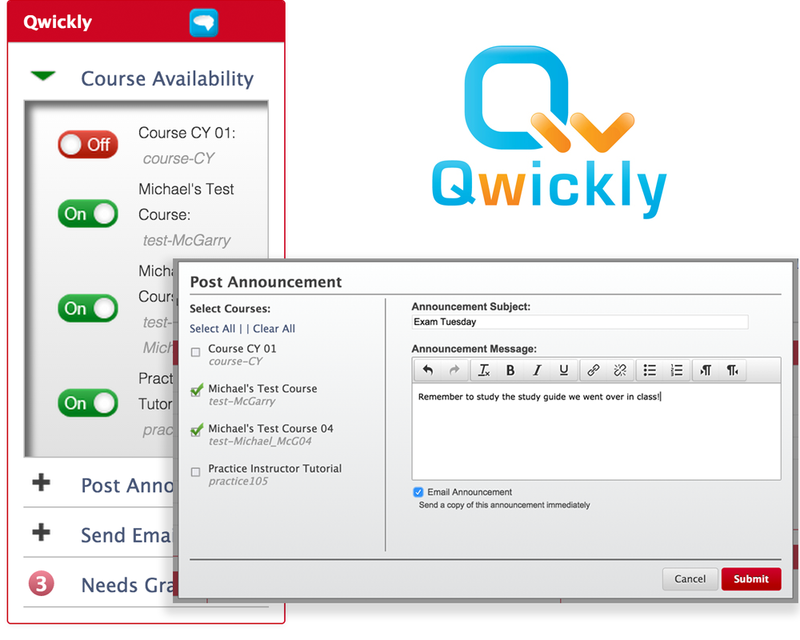 You may or may not have noticed a new panel the last time that you logged into your CI Learn titled Qwickly. If you haven’t noticed it, you’re going to want to, because it’s about to make your experience in CI Learn a lot better. Qwickly is a new tool that allows you to do previously (and often times unnecessarily) long tasks within CI Learn with fewer clicks. With it, you can make your courses available to students with the click of a button, post an announcement to multiple courses at once, and send an email to multiple course at once, all from the CI Learn homepage. No more switching from class to class, going into the properties, and making your class visible to students! Now it’s as simple as clicking a toggle. Check out this video for a quick (or should I say…Qwick) tutorial on how it works.